It's our last Watercooler Wednesday Challenge of the year and it's my turn to host. 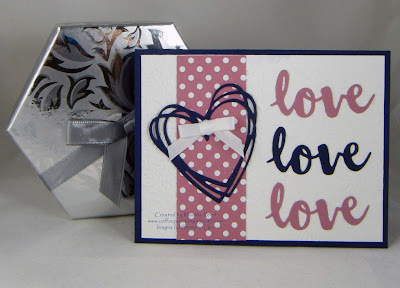 I'm hosting a Clean And Simple challenge this week but be sure you use those hearts. I was ready to leave the Christmas cards behind and start on my Valentine's Day cards. Here is the first of those I need to make. 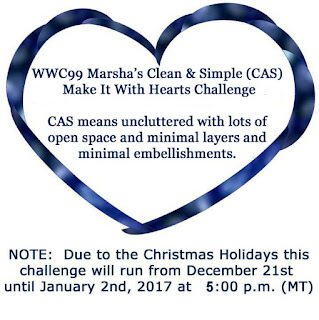 We have made a change to our line up and are now featuring a CAS (Clean And Simple) challenge each month. The rules for our Clean And Simple are very simple. Create an uncluttered design with lots of open space and minimal layers and minimal embellishments. It gives us a bit more leeway in creating those clean and simple designs. 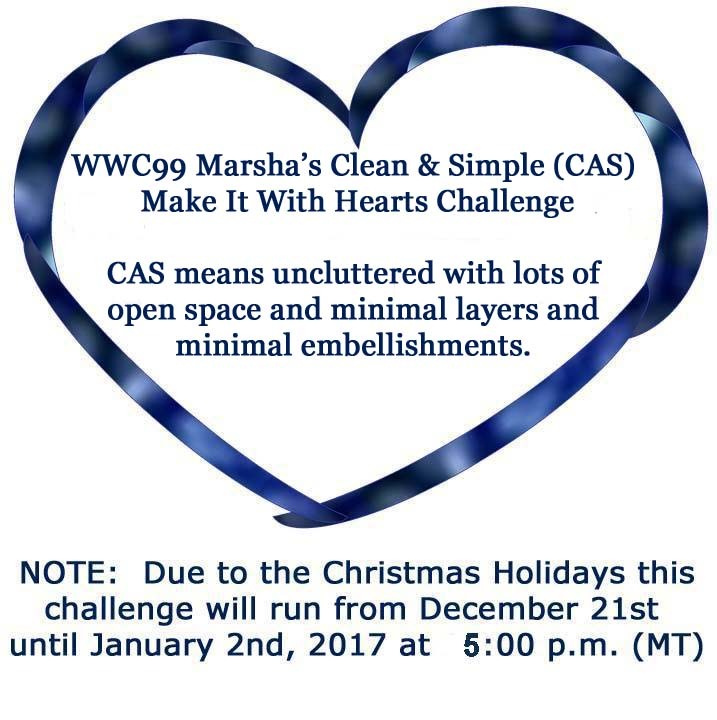 For all the challenge details and to share your project, visit Watercooler Wednesday Challenges by clicking the image below. We'd love to have you join us. You have until Monday, January 2nd, 2017 at 6:00 p.m. Central Time to link your project.